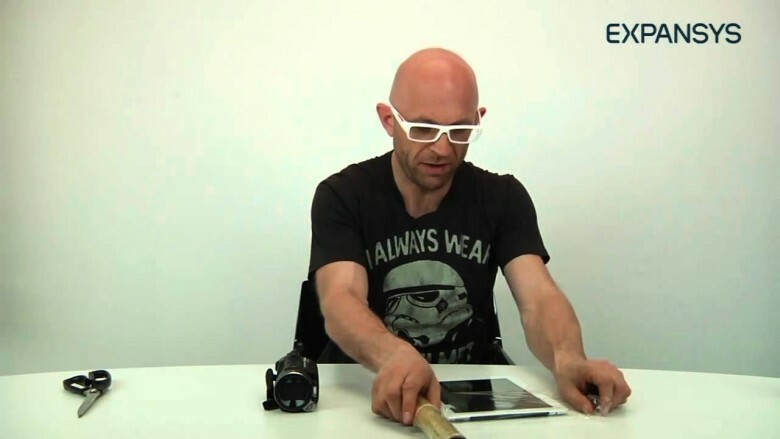 Jason Bradbury, the self-proclaimed Apple Expert, has discovered a simple hack that allows owners of the iPad 2 to take X-Ray style photographs through clothes. By applying a filter after blasting a subject with infrared light, the iPad 2’s camera can see through clothing. The best part of the hack is that you don’t need any type of training in radiology as it is incredibly simple and utilizes everyday household objects (infrared light and cellophane) to make it work. 1: Flood a subject with infrared light. Bradbury recommends using a digital camera with a night vision mode, or a children’s toy that uses infrared light. The infrared light penetrates the clothing and will be able to be picked up with the right filter. 2: Cover the camera on your iPad 2 with two layers of cellophane. The cellophane acts filters out the natural light enough to wear the infrared light comes in stronger and is picked up by the iPad 2’s camera lens. 3. Start snapping pictures. With your infrared source in place and your filter setup you are now ready to start taking some amazingly cool photos. This incredibly simple process could be quite dangerous in the hands of young adolescents and pervy old men, so use with caution.